Archaeological discoveries inform us that human relationships with psychoactive substances have existed since pre-historic times. It is easy to conceive that our first contacts were accidental; the chance encounter of hunter-gatherers stumbling upon a plant that had stimulant properties, or discovering that fermented fruits caused them to feel intoxicated when consumed. However, over time these encounters would come to play an increasingly vital role in the very survival of communities struggling to overcome the extreme hardships of the environments in which they lived. Plant foods such as ephedra, would have given early human groups a distinct advantage, helping them to cope with fatigue when travelling over distances or providing them with much needed boosts in energy when hunting for food or fending off rival clans for territory. There are also theories suggesting that hallucinogenic plants and fungi, such as psilocybin, may have played a key role in developing the physiology of the brain, helping to shape neurological pathways that deal with consciousness, abstract thought and spirituality. 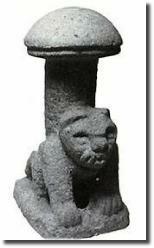 Such cognitive processes would have helped unite clans behind shared beliefs, supported by common symbolic rituals. ‘Alkaloids in plants, specifically the hallucinogenic compounds such as psilocybin, dimethyltryptamine (DMT), and harmaline, could be the chemical factors in the proto-human diet that catalysed the emergence of human self-reflection. The action of hallucinogenics, present in many common plants, enhanced our information processing activity, or environmental sensitivity, and thus contributed to the sudden expansion of the human brain size. At a later stage in the same process, hallucinogens acted as catalysts in the development of imagination, fuelling the creation of internal stratagems and hopes that may well have synergized the emergence of language and religion’. Psychoactive substances would have been a part of the everyday experience of early civilisations, as humans migrated together to form more robust groups. Archaeological evidence from all over the world points to the use of drugs in early medicine, in religious ritual and in warfare. In a world in which every day was a struggle to survive the harsh realities of the environment, it is easy to conceive how a plant with psychoactive properties could be seen as a gift from the divine; quite literally planted on the Earth through the benevolence of the gods to give humankind a helping hand. 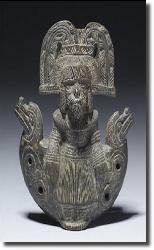 Throughout the ancient world such plants were often depicted connecting cultures with their deities and, in some cases, as figures of worship in their own right. 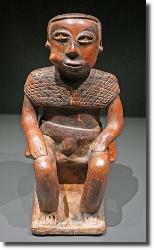 For example, the Mayans and Incas revered, amongst their pantheon, Mama Coca. 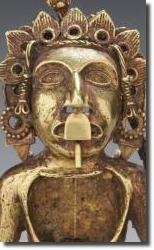 The Ancient Greeks reveled in the frivolity of the god of wine, Dionysus. So popular was Dionysus that the Ancient Romans adopted him in the form of the god Bacchus. The Ancient Egyptians were known users of the opium poppy, papavar somniferum, which they recorded on the painted walls of their tombs. The poppy was likely used in both ritual and in medicine, it's pain relieving properties well understood by the people of the Nile. Throughout the Ancient World, attitudes towards psychoactive substances would have been intrinsically different to those of modern commentators. Notions of prohibition or abstinence would have been inconceivable. 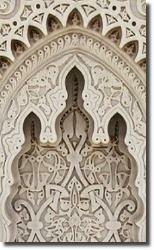 With the advent of Christianity and much later Islam, substances came to symbolise both shared culture and differences between cultures. Transubstantiation, the ritual transformation of wine into the blood of Christ remains a central tenet of Christianity to this day, whilst in AD 625 the Prophet Mohammed (Peace and blessings of Allah be upon him) ordered his followers to abstain from alcohol. Consumption of other intoxicating substances was also prohibited in Islam, along with gambling, although Sufism believed cannabis was an aid to communion with Allah. Attitudes towards psychoactive substances continued to wax and wane throughout the centuries, reinforced by religious doctrine, politics and war. It was in the 18th Century however, that the excess use of alcohol sparked one of the very first media moral panics. The root of the concern lay in the wholesale production of Gin, also known as Geneva, a spirit originally conceived in the Netherlands and brought into popularity when William of Orange came to the English throne. 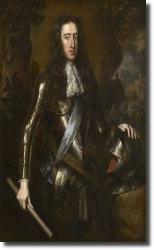 In something of a custom when assuming the title of English monarch, William of Orange set about declaring war with the French. As a result two simultaneous acts followed - steep import duties were placed on French Brandy, making it virtually unaffordable to the English palate, whilst at the same time Gin was introduced. The prime beneficiaries of Gin were the landowners, for whom grain production increased their income, and in turn the coffers of the King, whose revenue increased through taxation and funded the war in France. Whilst good for the economy, Gin consumption rose to unprecedented levels leading to deep concerns within the upper classes about its influence upon the lower echelons of society. Gin was linked to every vice and moral degradation as prices fell and London's poor succumbed to its anaesthetising effects. Efforts were taken to stem its flow ultimately leading to an outright ban. There ensued rioting across the capital city and Middlesex, with the magistrates tasked with enforcing prohibition being dragged out into the streets by angry mobs and beaten to death. Prohibition was ultimately replaced with an economic solution - increase tax and make Gin unaffordable. Before long the population resorted to drinking the diluted beer they had used as a substitute for the polluted water in the days before Gin. In the wake of the Gin epidemics of the 18th Century, a growing movement developed apace with emerging industrialisation and globalisation. Temperance was the perfect marriage between Christian morality and the needs of factory owners to maintain a sober and compliant workforce. At the same time developments in transportation enabled more efficient modes of transport, be that in the merchant navy or the invention of the steam engine and the rail networks that followed. The East India Company was at the forefront of international trade, enjoying a monopoly on imports and exports to and from Great Britain. Colonialisation was the bedrock of this trade; Great Britain vied with the rest of Europe for additional territorial gains in Africa and Asia, plundering the resources, workforce and culture of the lands they conquered. 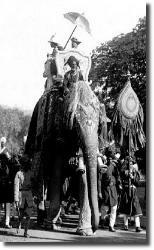 India was the Jewel in the Crown of Great Britain, it's vast wealth enriching the British Empire. And from India, trade routes spread further east to the port of Canton in Southern China. However, attempts by Lord McCartney in 1793 to introduce China to the luxury products and items of Great Britain were met with contempt by the Manchu dynasty, as was his refusal to kowtow to the Emperor during their first meeting. At the beginning of the 19th Century, the East India Company lost its monopoly on international trade. The free market was born and a number of companies who had operated in India, and further afield, were eager to enter the new and potentially lucrative trade routes to China. India was the major producer of opium, under the control of the East India Company in the Malwa region. Jardine Matheson, a partnership of two enterprising individuals, knew that they could undercut the East India Company and supply the Chinese with cheap opium - thereby converting a luxury item of the courts into an affordable panacea for all of life’s hardships. Trade flourished as the population of Southern China embraced this new commodity and addiction took hold. Trade relied on smugglers along the coastline and the bribery of corrupt officials, however the Manchu Emperor was less willing to accept the clandestine import, particularly when members of his court succumbed to the vice. Commissionar Lin Zexu was appointed to the task of ridding China of the illicit use of opium and to re-assert China's refusal to trade with barbarians unwilling to respect the rules. 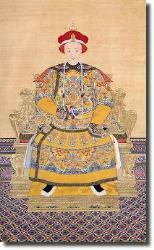 Lin Zexu wrote to Queen Victoria. The Treaty of Nanking brought the conflict to an end, with Hong Kong ceded to the British amongst the Chinese reparations for the war. Trade was permissible at a number of ports outside of Canton, however this did little to reduce the sale of opium, which continued to ed to . Tensions resumed over time until disagreements erupted and the Second Opium War ensued. This time the British launched both a naval and land assault, ending with the destruction of the Yuan Ming Yuan Palace, summer residence of the Emperor, and the theft of untold treasures, which were shipped back to Europe. In 1868, just years after the end of the Second Opium War, the Pharmacy Act was introduced into the legislature of the United Kingdom. The Pharmacy Act 1868 heralded a change in attitude and approach to the sale of poisons. Significantly, certain poisons, including opium, could only now be sold from a chemist if the purchaser was known to the proprietor. The legislation was instigated in order to counter a steady rise in deaths caused by the consumption of certain poisons. 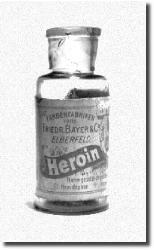 As a result, deaths caused by the misuse of opium fell from 6.4 per million population in 1868 to 4.5 per million in 1869. The irony of a nation going to war in China to safeguard the trade in opium whilst implementing legislative steps to limit the consumption of opium at home was perhaps lost on the Victorian mindset; a mindset steeped in the rhetoric of Empire, Christianity and free markets. And yet, as Queen Victoria approached the remaining few years of what had been the longest reign of a British monarch, the paradox between demand, supply and control was to take root and define Western attitudes to drugs throughout the 2oth Century. 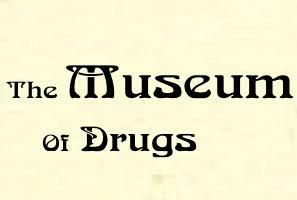 The Museum of Drugs frequently lectures on the subject of substance use history, including talks to educational establishments and health and social care conferences. In addition, we have provided consultancy and support to writers, journalists and the film industry, including the award winning Peaky Blinders. If you would like to discuss booking the Museum of Drugs as a speaker or for consultancy, please contact us using the form below.